I work next to a body shop that paints Porsches and Ferraris exclusively and other exotic cars. I know the owner, I will ask him tomorrow. NICKLE&DIME wrote: I work next to a body shop that paints Porsches and Ferraris exclusively and other exotic cars. I know the owner, I will ask him tomorrow. Thanks to all that have helped. I appreciate the advice and the prayers too. 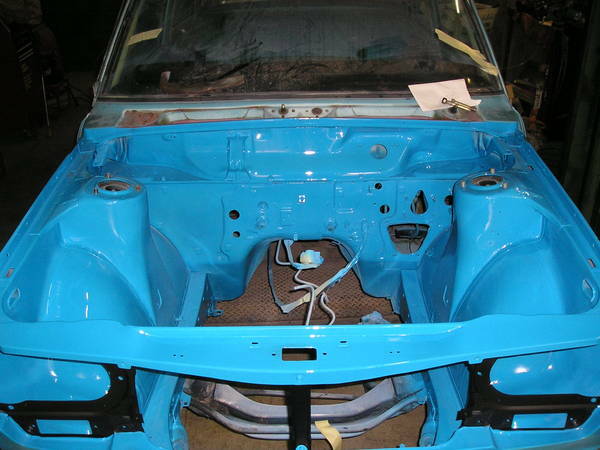 I was able to locate the paint code buy searching quite a few Porsche Forums. It seems that the factory offered the color "Mexico Blue" in 2007 - 2009 as a custom color. 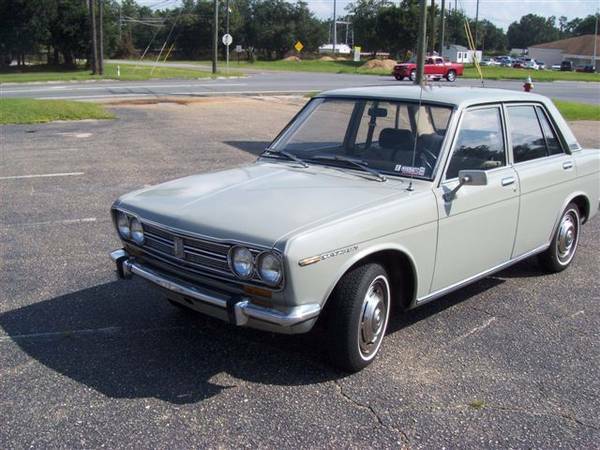 It was an exact copy of the 1973 - 1974 factory color of the same name. 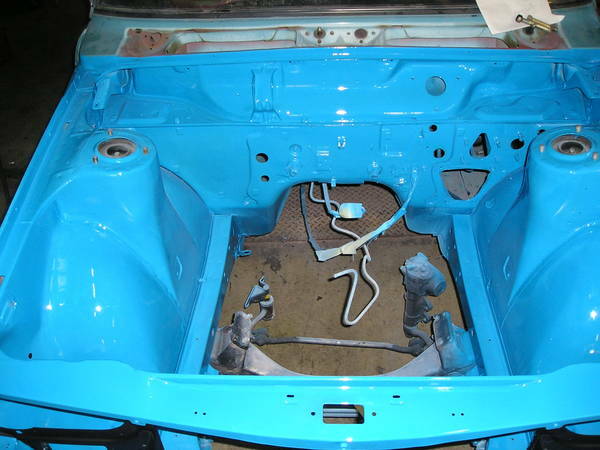 We hope to paint the engine compartment this weekend. Updates soon. If I were you. i'd paint it the stock robin eggsehll blue. Robb wrote: If I were you. i'd paint it the stock robin eggsehll blue. I agree - but nice car either way! As nice as the stock color is, I decided I really like the Porsche Mexico Blue. So that is what it will be. Thanks for all of the opinions and advice. Now I can't wait to get the car painted. It will have to wait. I want the VG in and running soon. I miss driving it. qwik510 wrote: As nice as the stock color is, I decided I really like the Porsche Mexico Blue. That's nice! 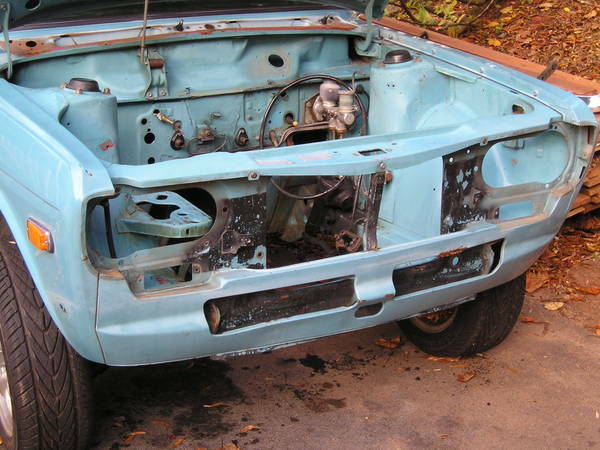 Now I miss my Riviera Blue KA510! Woulda been nice to see.. something along these lines. How dare you post that here! That Turbo 2002 is a very nice car and my 510 will be a driver so it will never be finished to that level. Robb, Are you ever going to buy a 510? Last edited by qwik510 on 18 Sep 2009 17:58, edited 2 times in total. Everytime I see that 2002 turbo restoration, I get the shivers. Such a mint resto !!!!!! So I promised myself I would not get hung up in the "while I am at it" syndrome but it bit me again. I have decided that I no longer want to install the VG30 engine. I know. I seem a bit wishy washy as I have had this planned for many years but things change. But not too much change. So I decided to install a VG33! I got a great deal on a VG33 from a 99 pathfinder with 72K on it. So now it will be 3.3 liters of V6 power and torque. Vince and I spent a few hours going over the new engine. There are a few things that will need to be modified in order to make it work but it should be worth it. The oil pickup on the VG33 is located in a different location then the VG30. The modified VG30 oil pick up tube I got along with the modified oil pan from Team Thump will not work. The baffles in the oil pan will need to be trimmed so the pick up tube will clear and we will be modifying the oil pickup tube from the VG33 to fit. We removed the oil pickup and test fit the oil pan and it fits fine with no issues. The Team Thump motor mounts bolt up too and it all fits as it should. With the crossmember in place, there seems to be no other issues. The 33 has the oil filter on the front of the engine and it looks like it will work as it is too. The injectors in the 33 have a different type of connector on them and I did not get the 33 harness so I will need to change the injector plugs on the harness I have. The 33 has the larger exhaust manifold studs so I will need to open up the holes in the 200SX exhaust manifolds to make them fit. I plan to use the stock pulleys from the 33. 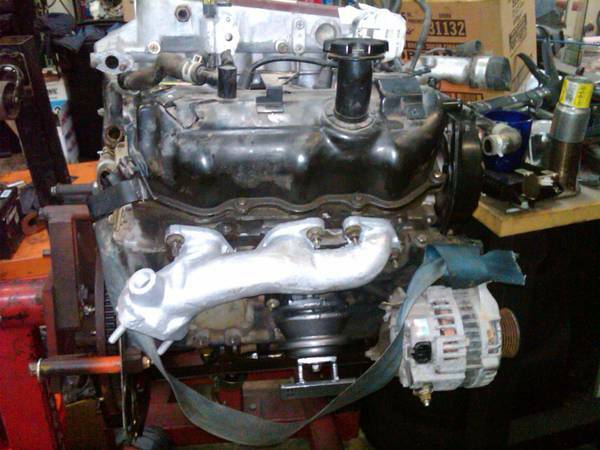 The starter may have clearance issues but it looks like the smaller high torque 300ZX starter will be the fix we need. I don't know what other differences we will find or mods that will need to be done but I guess we will find out. I think the extra power and torque as well as a 12 year newer engine will be worth it. Nice find. Think you can have it together in 6 months? S15DET wrote: Nice find. Think you can have it together in 6 months? I sure hope so. If not, I have my other Orange 510 ready to go. Been working on the VG33 to get it ready for the install. The oil pickup tube is in a different locataion on the VG33 vs. the VG30 so the pickup tube needed to be cut, modified and rewelded. The baffles in the oil pan had to be trimmed too. This is all done and it all fits great. Now I am awaiting a new water pump and timing belt as the ones I bought for the VG30 will not fit the VG33. 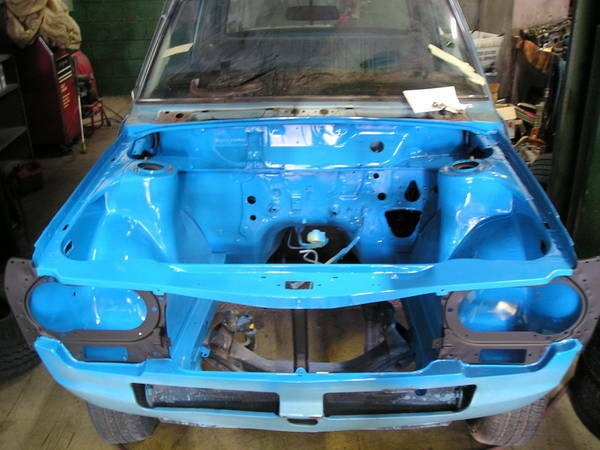 Once they come in, we plan to get the engine and trans bolted together and then install it. My camera is on the fritz so no new pics yet. Ok. Another update. Engine is still not in but getting closer. The VG33 oil pickup tube has been modified. It had to be cut, shortened, and re-welded. The baffles in the oil pan had to be trimmed too. That is done. The new water pump is installed. A new timing belt too.Cam seals have been changed. The exhaust manifolds have been test fitted and the passenger side is in place. 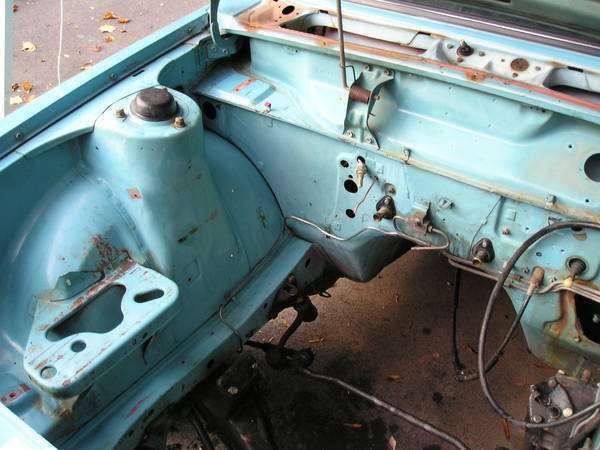 The drivers side will be installed once it is in the car so it does not hit the steering box. The 200sx intake has been test fit too. Hopefully, the engine goes in this week. My camera is on the fritz so I took this with my cell phone.